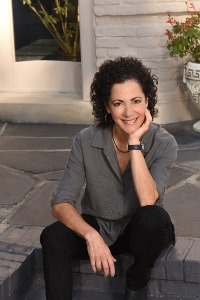 Author Linda Kass has contributed an essay about her methods and intent in writing historical fiction, and what readers can gain from reading in the genre. Her debut novel Tasa's Song is published today by She Writes Press. In historical fiction, the details of an era, and the particularities of settings during that time period, must ring true. All the more necessary when the context is universally known, such as a major historic event. Certain facts need to ground historical and realistic fiction, but those facts cannot overpower the story itself. 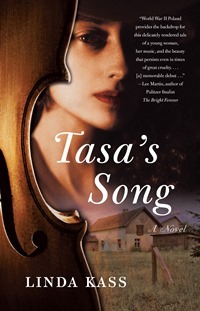 My novel, Tasa’s Song, is based on the true events of my mother’s early life in eastern Poland during the gathering storm of World War II, a backdrop that has been called the most significant war the human race has ever waged. My protagonist, Tasa Rosinski, is a violin prodigy. She has an extended family. Life amid war produces movement for all of the characters from one place to another. My challenge was to portray Tasa, a fictional and unique character, in a specific historic context and setting while she faces known circumstances. As a journalist, I am attached to facts, but as a novelist, I can only use them to create a verisimilitude on the page. For Tasa’s Song, I researched facts in order to write authentic scenes and dialogue and action. What did Tasa’s small village in Podkamien look like? What foods did she and her family eat? What clothing did they wear? How did people get around then? What did Polish farmers grow on their land? How did people learn about what was going on at that time? What did they listen to on the radio? What books did they read? What musical compositions might Tasa have played as her talent developed? What historical events would be topical to Tasa’s family in 1935, 1941, or 1944? As a writer of historical fiction, I needed to understand the concrete world in which my characters lived and interacted. But the writer’s task when creating a story set in a particular time and place is not to be true to the facts as recorded in source material. That’s the role of the historian. 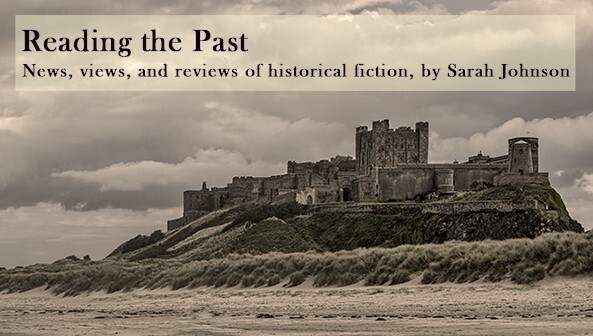 The historical novelist exposes the reader to the inner lives of people across time and place, and in doing so illuminates history’s untold stories, allowing the reader to experience a more complex truth. The essence of any fictional story is its characters. They are vivid because, while participating in the flow of historic events, they make their own choices, have their own thoughts, experience joy or suffering in their own way. For Tasa, she endures through the solace of music, the love for her family, and the memories she holds inside. The fact of history tells us that many people suffered during World War II. The character of Tasa reveals her unique emotional suffering. Reading history allows us to understand what happened. Reading historical fiction allows us to be moved by what happened. Yet, even after we know the facts, we continue to search for sense and meaning. That is at the essence of our humanity. Linda Kass is a writer who worked as a magazine reporter and correspondent for regional and national publications early in her career. In her community, Ms. Kass is a strong advocate of education, literacy, and the arts, and is a long distance road cyclist who rides in an annual event to support cancer research. Her past experience as a trustee and board chair of the Columbus Symphony Orchestra fed into much of the music that fills the pages of Tasa's Song (She Writes Press, trade pb/$16.95). She is at work on a second novel. You can learn more at http://www.lindakass.com/. The importance of research cannot be over-stated. I have found reading a story can be jarring when the characters do something for no particular reason ... the motive must be apparent, especially in historical fiction where the writer must follow the facts, and puzzling out the motivation isn't always clear.